I am visiting Greenland’s geologic survey, Asiaq. Asiaq is the name for the goddess of weather and change. 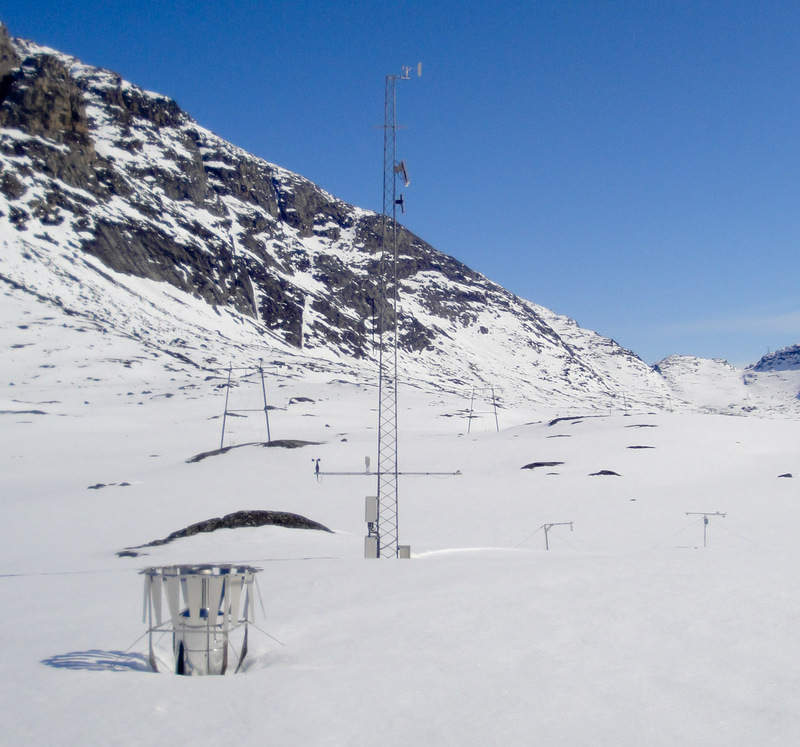 Asiaq is gathering important data for assessing Greenland’s climate. Six of us meet early at Asiaq for a van to the harbor to a boat transport to Kobbefjord. By ski we made a 7 km round trip tour to service automated micro-climatological instrumentation. 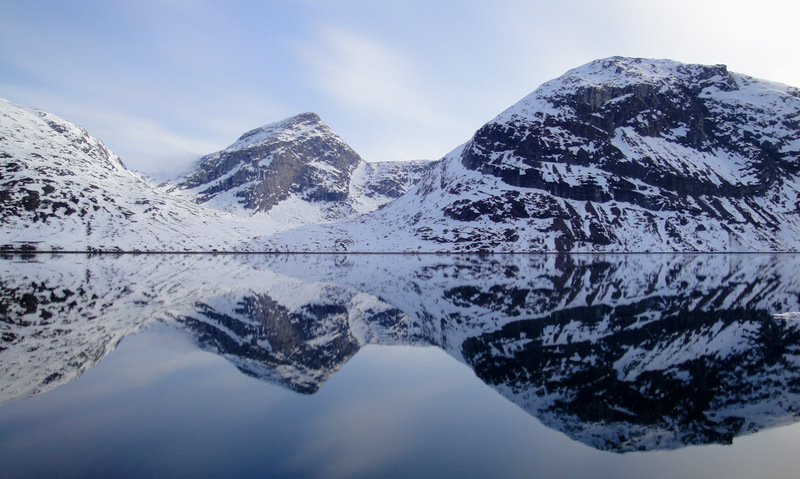 One of two ‘twin’ climate stations in Kobbefjord. The redundant stations ensure data continuity and the possibility to assess uncertainty in point measurements. In the background are visible snow accumulation and surface radiation budget instrumentation. 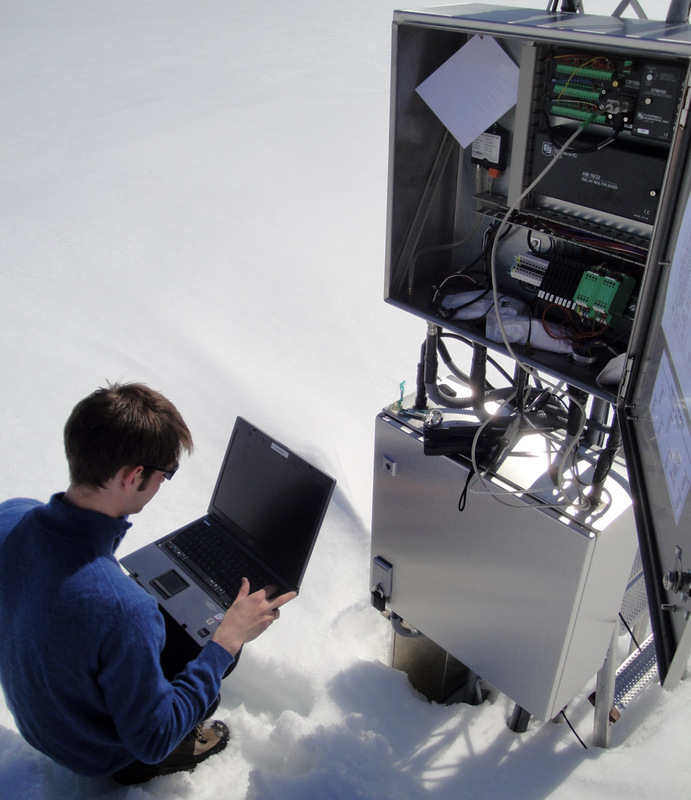 Mark Andrew Pernosky gathers data from a climate station. The Kobefjord installation is part of a long term ecological observations system that includes stream flow discharge, lake level, tundra fen methane capture (and other surface carbon budget sampling), snow cover automatic cameras, and more. The systems perspective is important in trans-disciplinary research. This entry was posted on Saturday, May 14th, 2011 at 11:08 am	and is filed under adventure science. You can follow any responses to this entry through the RSS 2.0 feed. Both comments and pings are currently closed.